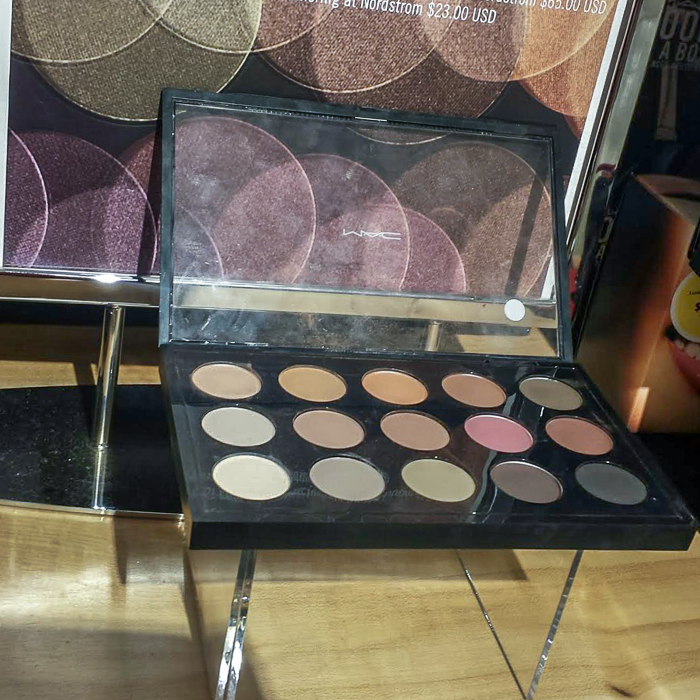 MAC and Nordstrom come up with some lovely pre-made eyeshadow palettes, and this year has been no exception. 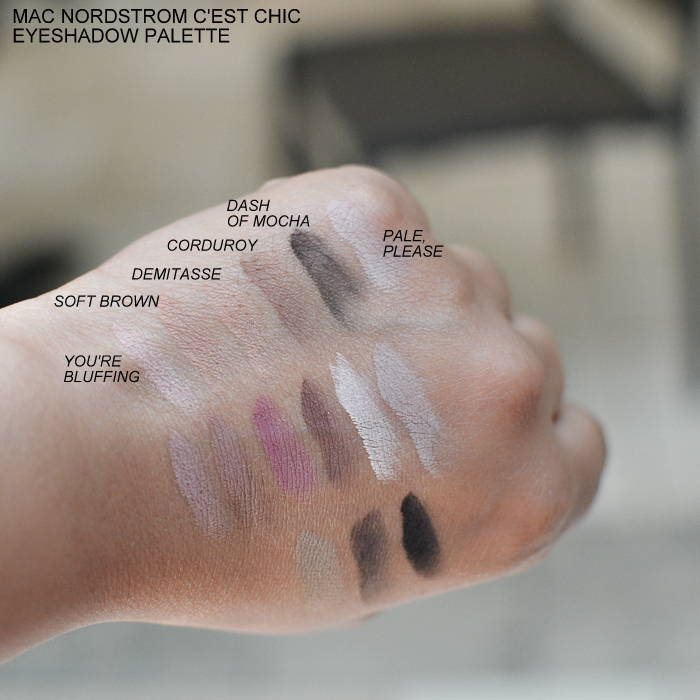 The MAC Nordstrom C’est Chic Eyeshadow palette is an exclusive combination of all matte shadows with a mix of soft neutrals as well as deeper browns. Some of the colors are a bit light (for my skin tone) and don’t show up too well against my medium-dark skin tone, but overall, there is a nice mix of neutral shades in the palette. I especially love the rosy/mauve-toned shadows in the palette. The eyeshadows in this palette include some old favorites from MAC as well as some new eyeshadows that aren't part of the regular MAC line-up. Scroll on for swatches. MAC eyeshadow palettes - the premade ones - get some bad reviews, mostly because the quality of the eyeshadows don't seem to match those of the eyeshadow singles that are sold separately. I haven't bought very many of these premade palettes, but the few that I have tried perform quite well over a primer. 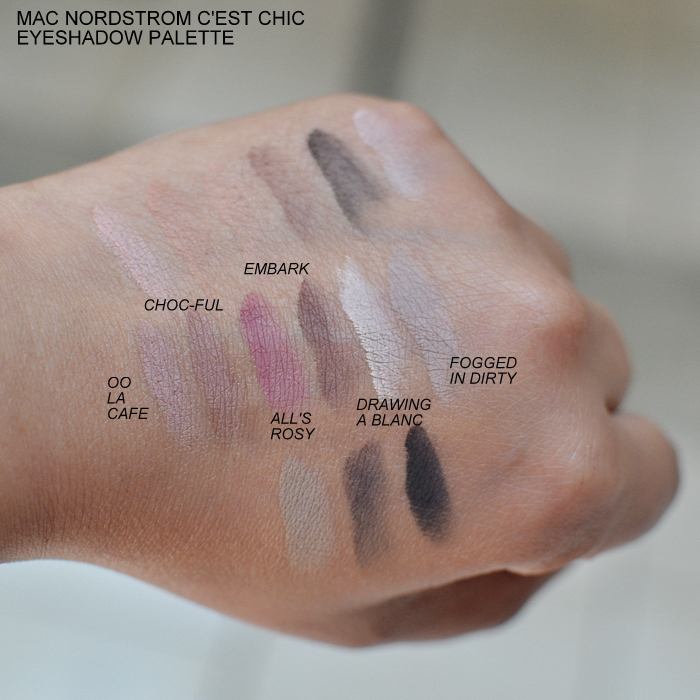 The MAC Nordstrom C'est Chic eyeshadow palette features a good mix of neutrals and some dark shades, and I especially love that all the colors in this palette are matte shadows. While a couple of the lighter colors might not be showing up well in the swatches against my skin tone (medium-dark), I do think the colors would work well for anyone looking to incorporate some soft neutral shades into their makeup routine. For instance, Soft Brown looks unimpressive against my skin tone on swatches but works well as a transition shade and to blend out darker shades. It's one of my most-reached-for eyeshadows. 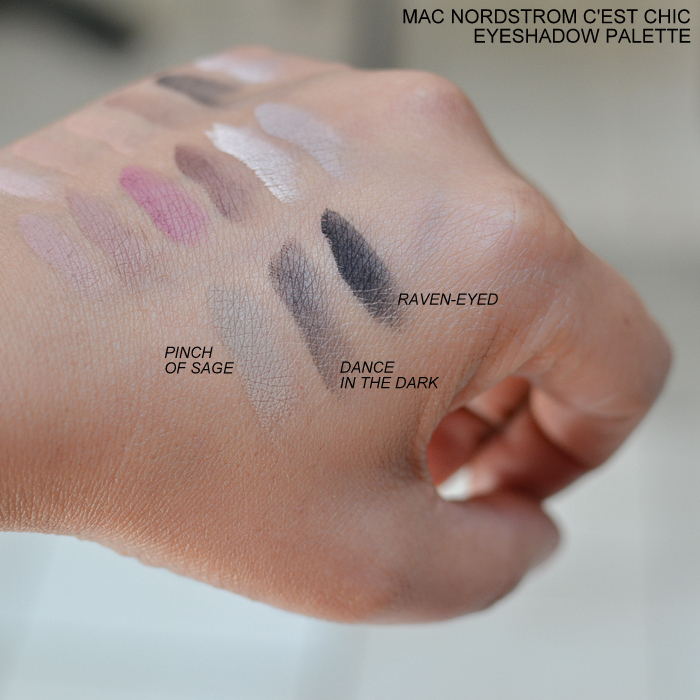 The quality of the shadows in the MAC Nordstrom C'est Chic eyeshadow palette seems pretty good too, with decent pigmentation and smooth texture. Overall, the MAC Nordstrom C'est Chic palette is a fabulous option for those looking to pick up some soft neutral eyeshadows, and at $65, it's also a pretty good deal. Do give this a try the next time you are at a MAC counter.